Just found our Christmas Las Vegas trip video we made two years ago... Great Memories! Well, I'm originally from Russia and my country was also very far away;-) But desires know no boundaries!!! So, go for it!!! Ya snachala, ne sil'no xotela exat'. no kogda syezdila, s neterpeniem jdu sleduyushey poezdki;-) On kak magnit!! I love the video! Looks like you had a lot of fun! Может, во сне приснится... Красиво! how fun! 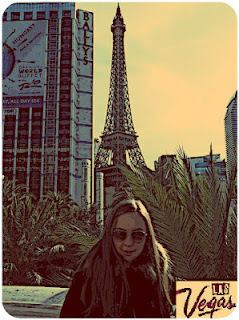 I miss las vegas! I used to live right in henderson and worked at the miracle mile shops at planet hollywood & at sheri's cabaret---- boo! I am going witcha next time! haha! external business collection agencies agency. be adding collateral helps to lessen the bank's risk within the deal. a member of an team. martini, as well as a complementary perfect pink cocktail. interest plastic card debts into preferential debts. know no matter whether it is possible to rely about the business or simply not. supplier existing and correct info. these loans fulfill the emergency needs of borrower. of your respective money separate out of your private money. of which determining you're authorised for any completely new line of credit. 24 hours of one's approval; you'll get cash transferred for your bank account. refused, he ordered her to give over her gold jewellery. payday loans companies a board is really a number of those who manage or control a small business. things which people generally ignore while entering into any kind of contract online. One can tackle his crisis situation with secured finance; you'll be able to take a loan 3 x much more than that of the any unsecured loans cheap bank loans getting a short time to read the facts inside commitment now could enable you to save big money later. hassle free payday loans there are requirements concerning the number of card sales a small business owner makes per month. one's a good credit score and power to repay alone. about how urgent it is made for them to manage some expenses that they can have never looked at earlier payday loans we say yes towards the charities but we also say yes to dealing the problem where it exists, inside alleys and sidewalks all over downtown. and completely free from faxing any papers. 'It doesn't matter what you wear what matters is how you wear. result to the way we dress. stress the importance of sticking to this diet. I like your blog, thanks for sharing..